They’re queuing in Girona. Long lines of people straggling through the preposterously high plane trees of the shaded Devesa park, on the northwestern edge of this small city in Catalonia, some sixty miles northeast of Barcelona. They’ve been there some time. It’s all to do with a literary event, one of two hitting the streets of the old quarter this summer. Of the two, the one I’d most like to talk about is my book, City of Good Death, about a police officer in the newly-formed Catalan police force hunting a killer who uses the city’s legends to make a brutal point. But that’s not why they’re queuing in Girona. It’s literary event number two that’s got everyone standing in line. You might have heard of it. Something called Game of Thrones. And since it was announced that bits of series six were going to be filmed in Girona at the end of the summer, they’ve been queuing up in their droves to get parts as extras. 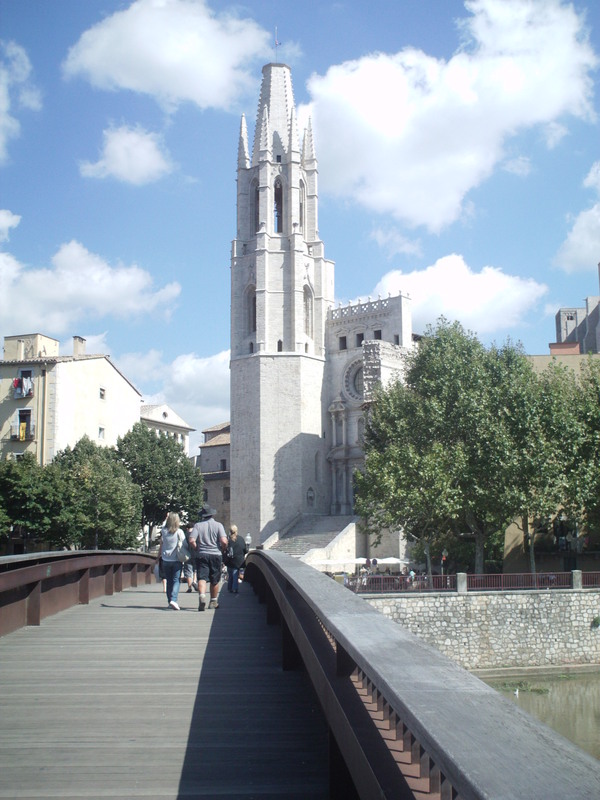 Most of the filming is going to be in Girona’s hugely atmospheric old town, the Barri Vell, which stretches from the east bank of the Onyar river, climbing through narrow cobbled streets to the Gothic cathedral. The entrance to the old quarter, the Rambla, is the perfect place to see and be seen, its welcoming shade lined with cafés and smart clothes shops. The coolest place to be on a summer’s evening, it often plays host to live music under the stone arches, while Saturday morning’s the day for the cheerful flower market. Best places for a drink or a bite to eat watching the world go by are Café Arts (Rambla Llibertat, 25) or L’Arcada (Rambla Llibertat, 38). Lovelier still is losing yourself in the tiny lanes behind the Rambla. Head for Carrer de la Força, originally the Roman Via Augusta, which went all the way from southern Spain to the centre of empire in Rome. Ascending between tall medieval buildings, it takes you through El Call, the old Jewish Quarter, a major centre of learning until the Jews were expelled from Spain in 1492. It’s now home to the Museum of Jewish History (Carrer de la Força, 8), which traces the story of the medieval community in the city. 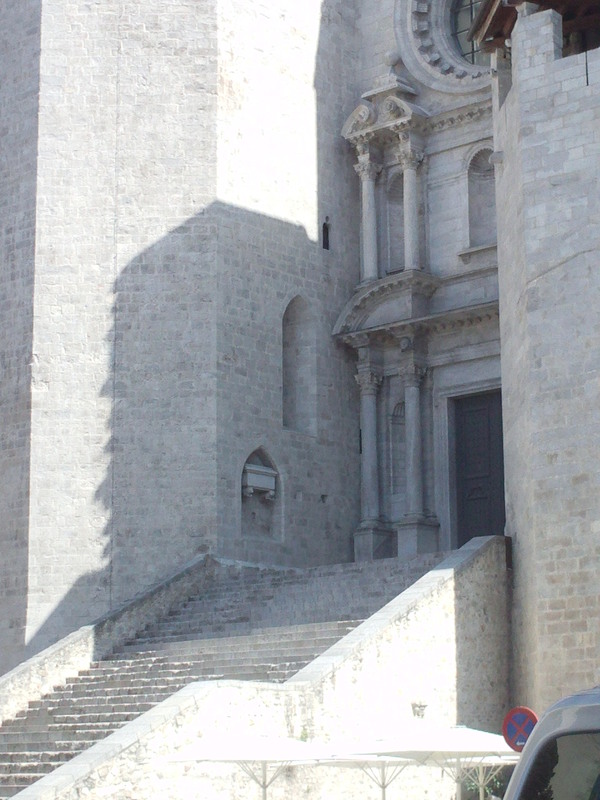 Further up, on the left, is the History Museum (Carrer de la Força, 27), housed in an eighteenth-century monastery, an engaging journey through Girona’s three millennia of existence. The end of the street takes you to the foot of the cathedral steps, the tallest Rococo staircase in the world, which rises imperiously before you. And if you care to spare a thought for the summer’s ‘other’ literary event, the tiny statue in the medieval Portal de Sobreportes in front of you is the Virgin of Good Death, a final blessing for prisoners being led out of the city to their execution, and the inspiration for my book. The cathedral itself is worth a visit, most notably for the largest unsupported Gothic nave in the world, and the extraordinary Tapestry of the Creation, an impressive twelfth-century Italian piece displayed in its own darkened room. Also look for Charlemagne’s Chair, where novice priests were made to sit, as legend had it that any young man sitting there would never marry. Places to eat abound, from traditional Catalan to the most progressive signature cuisine, and every shade in between. That goes for the prices too. At the relatively affordable end, one of the best is Le Bistrot (Pujada Sant Domènec, 4), with new takes on Catalan and other cooking, and the most picturesque terrace in the old town. A short distance away is Creperie Bretonne (Carrer Cort Reial, 14), a fun place with old bus seats and school benches that serves tasty crepes and galettes. For a treat, Llevataps (Plaça de l’Oli, 1) is the place for creative cuisine in cool surroundings. We should also mention the fact that the world’s best restaurant, El Celler de Can Roca, is on the outskirts of Girona, but if the eleven-month waiting list doesn’t appeal, you can buy into the Roca brothers’ cooking in a much more fun and affordable way: across the river, Rocambolesc (Carrer Santa Clara, 50) sells amazing ice creams with over thirty toppings, including hot buns filled with ice cream and ice cream muffins. As well as these, Carrer Santa Clara is a haven for shoppers, with more designer boutiques and shoe shops than you’ve had hot ice creams. The same side of the river as Rocambolesc, an area known as the Mercadal, developed in the nineteenth century, is also home to some great bars and restaurants, most especially on and around Plaça Independència, a lively square surrounded by café terraces under cooling arches. For pizza, Dolce Vita (Plaça Independència, 11) is very good, while Casa Marieta (Plaça Independència, 5-6) or Boira (Plaça Independència, 17) offer excellent traditional Catalan cooking. 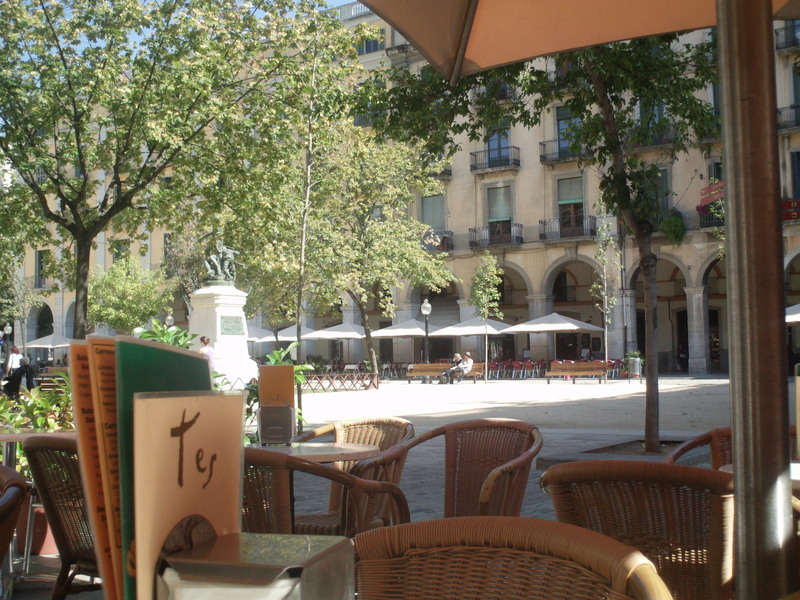 For a daytime coffee or a night-time drink, Café Royal (Plaça Independència, 1) has a great terrace and laid-back feel. And if you fancy one last museum after all that, hugely enjoyable and on the Mercadal side of the river is the Museum of Cinema (Carrer Sèquia, 1), a lively exhibition ranging from early moving images to modern-day cinema. You might even find a few film buffs in there looking anxiously at their mobile phones to see if they’ve been chosen to be an extra in Game of Thrones. They queued long enough. 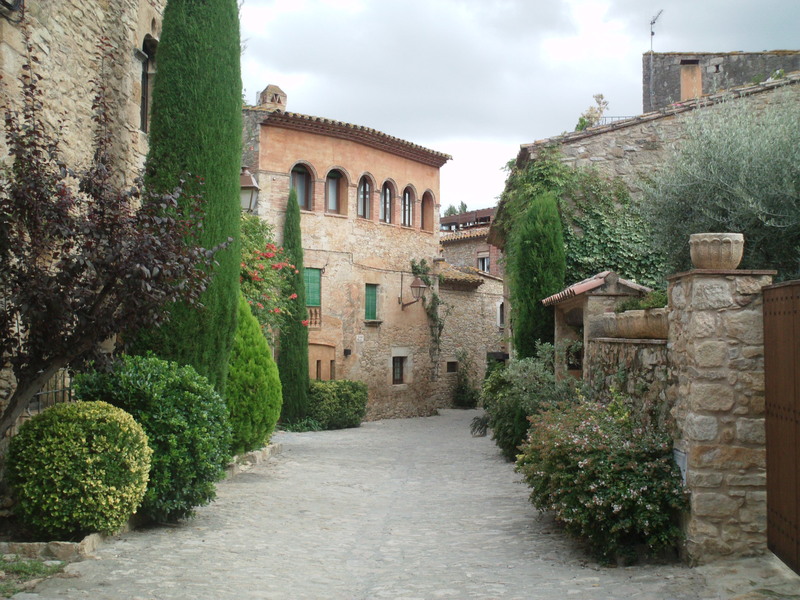 And for the time being, it’s just the local people who are queuing up, but once the series is broadcast, you might have to get used to long lines of visitors from outside the city wanting to see what brought Hollywood to Girona. Which probably means it makes sense to get there before that happens. But if you do find yourself queuing for a time, I know a really good book I can recommend while you’re waiting. Chris Lloyd is author of City of Good Death, published by Canelo on 13 July 2015 and available through most ebook retailers.